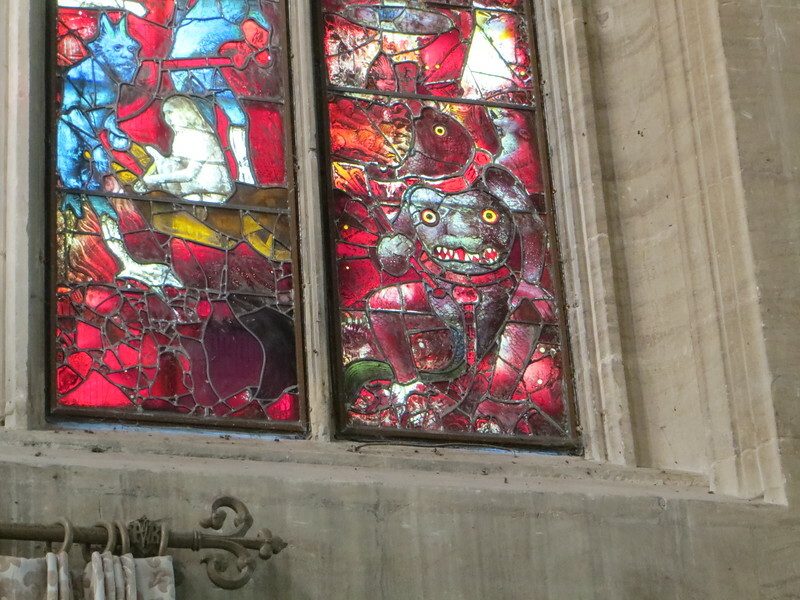 The lower part of the Last Judgment window shows the devils and the torments that await you in Hell if you aren't good. I think that is Satan himself in the lower right, complete with a second face in the middle of his chest. Imagine being a little kid in that church and staring at that window all through the service.